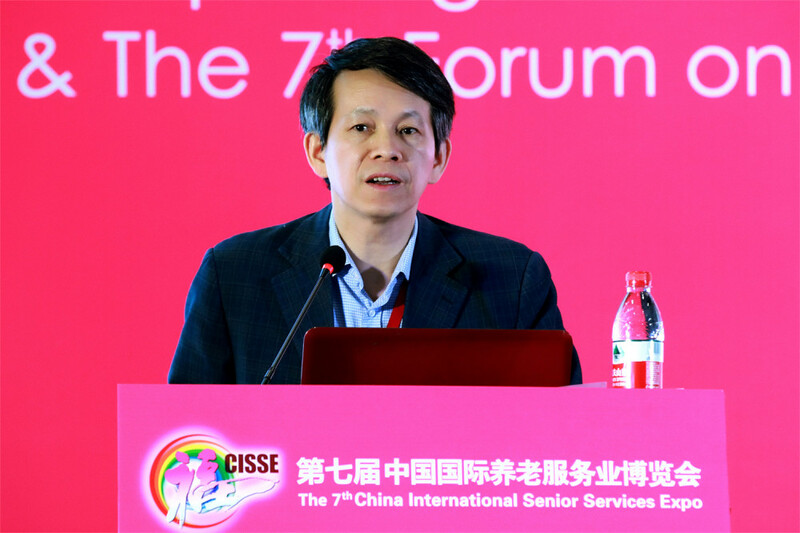 During May 9th to 11th, 2018, the 7th China International Senior Services Expo and the 7th Forum on the Development of Chinese Senior Service Industry were held at China National Convention Center in Beijing. 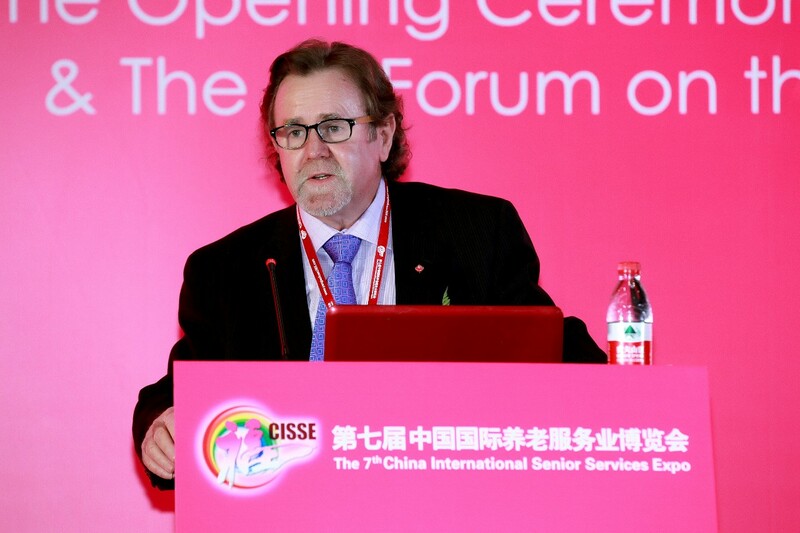 This Expo is hosted by China Association of Social Welfare and Senior Service and China Professionals-Workers INT’L Travel Service Head Office; supported by The International Federation on Ageing (IFA), Beijing Working Commission on Ageing Office, China Association of Social Workers, China Social Welfare Foundation, China Charity Alliance, China Association of Social Security, China Social Insurance Association, Commercial Service of the Embassy of the United States of America in China, International Trade Department of the British Embassy in China, Business France China, the Health, Welfare and Sports Department of the Embassy of the Kingdom of the Netherlands in China, and Russian Gerontology and Geriatric Pathology Association; and organized by Beijing Zhongfu Elderly Culture Media Co., Ltd. and Reed Sinopharm Exhibitions Co., Ltd. 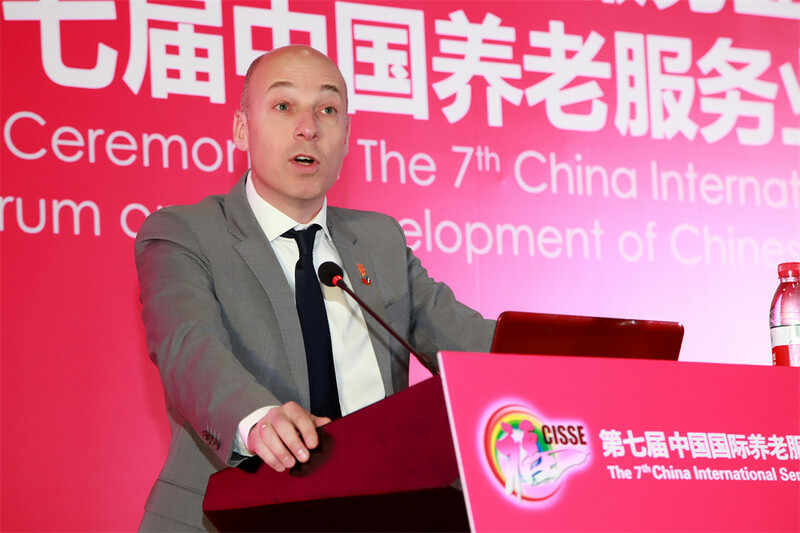 This year, an innovative model was adopted in the organization, a brand exhibition company was chosen as the partner, and more than 300 social organizations, brand institutions and technology and product enterprises from over 20 countries and regions participated in the Expo; meanwhile, the 7th Forum on the Development of Chinese Senior Service Industry and 14 parallel forums and related activities were held; and guests from the International Federation on Ageing and government departments and social organizations from the US, Russia, the UK, France, Canada, the Netherlands, Singapore and Japan, as well as leaders of the state and local government departments and their affiliated social organizations attended the opening ceremony and the main forum. 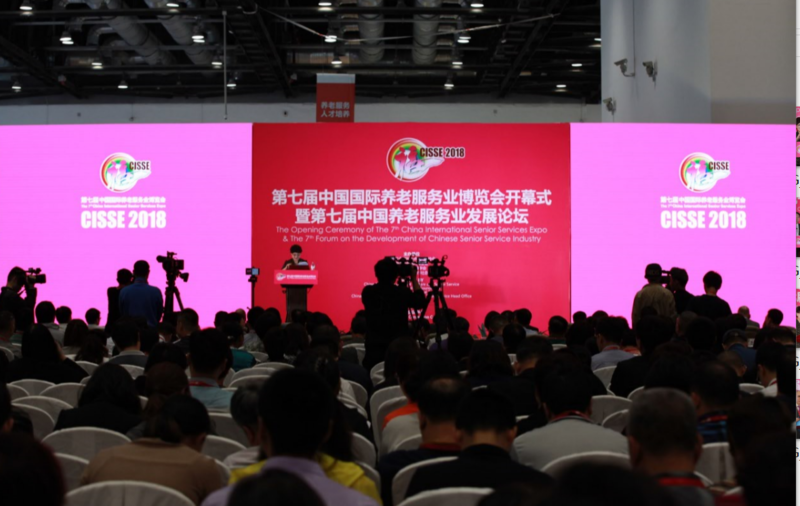 Under the guidance of the spirit of the 19th National Congress of the CPC, this Expo conscientiously implemented the latest policy of the state’s 13th Five-Year Plan regarding facilitating the development of the senior service industry. Centering on the new development needs of the senior service industry, the advantages of the crossover integration and pooling of wisdom and strengths of social organizations were further exploited, the recent achievements in scientific research and practice of the international senior service industry were introduced through the Expo and relevant forum activities, and the great progress of our country’s senior service industry were vigorously communicated and promoted, further strengthening the platform of learning, exchange and integration of the senior service industry home and abroad. A brand expo image with concept innovation, form innovation, product innovation, and integration innovation has been established, playing a positive role in continuously improving our country’s senior service management level, improving the mental and cultural standard of living for the elderly, and contributing to the construction of social harmony. 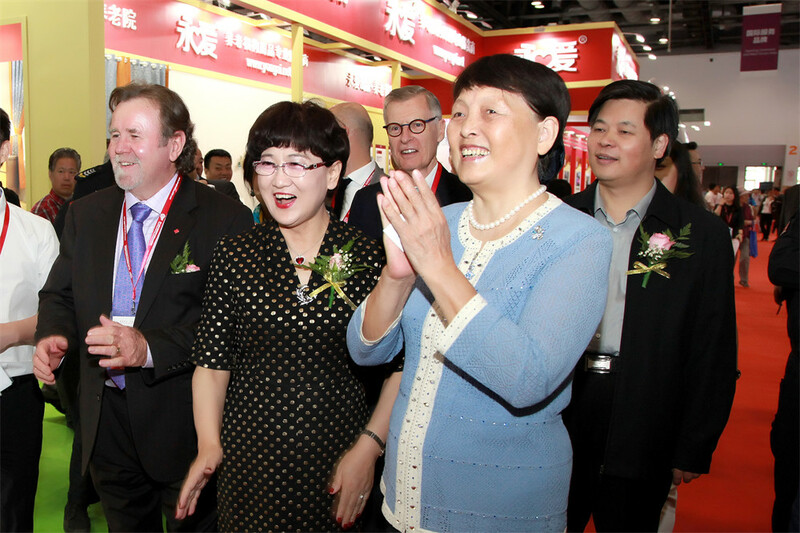 Zhang Meiying, Vice Chairman of the 11th CPPCC; Gregory Ross Shaw, Director of Department International Relations of IFA; Liu Guanghe, the first president of China Association of Social Welfare and Senior Service; Zhang Shiping, former vice chairman and secretary of the Secretariat of All-China Federation of Trade Unions; and Li Wanjun, Director of Beijing Civil Affairs Bureau, attended the opening ceremony and addressed the meeting; Vice Chairman of the 11th CPPCC Zhang Meiying announced the opening of the Expo; and President of China Association of Social Welfare and Senior Service Feng Xiaoli hosted the opening ceremony and the main forum of the Expo. 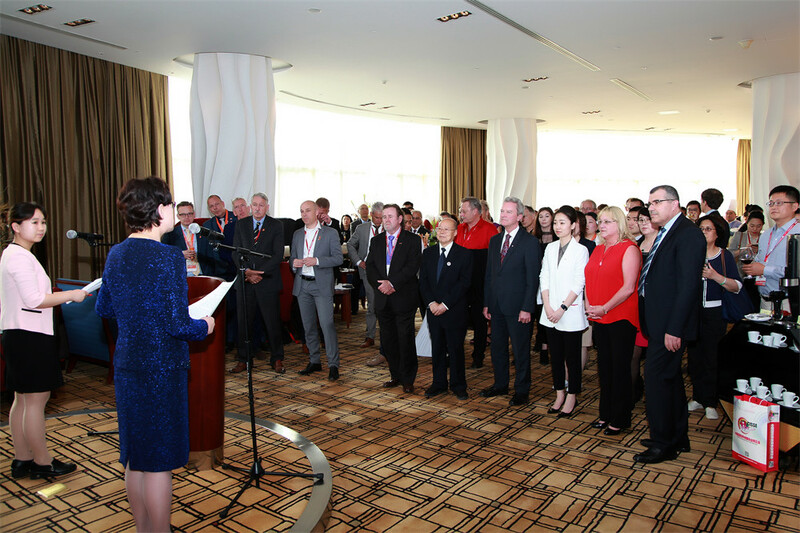 Zhang Meiying pointed out in her speech that the year of 2018 marked our proud entrance into a new era. At the 19th National Congress of the CPC, Secretary-General Xi Jinping pointed out that the principal contradiction facing the Chinese society has changed to that between people’s ever-growing needs for a better life and the unbalanced and inadequate development, putting forward new requirements for strengthening areas of weakness in people’s livelihood, and defining a clear direction for the development of social undertakings including senior services. Since the 18th National Congress of the CPC, China has made significant progress in actively addressing population aging, and a senior service system with Chinese characteristics has taken shape. 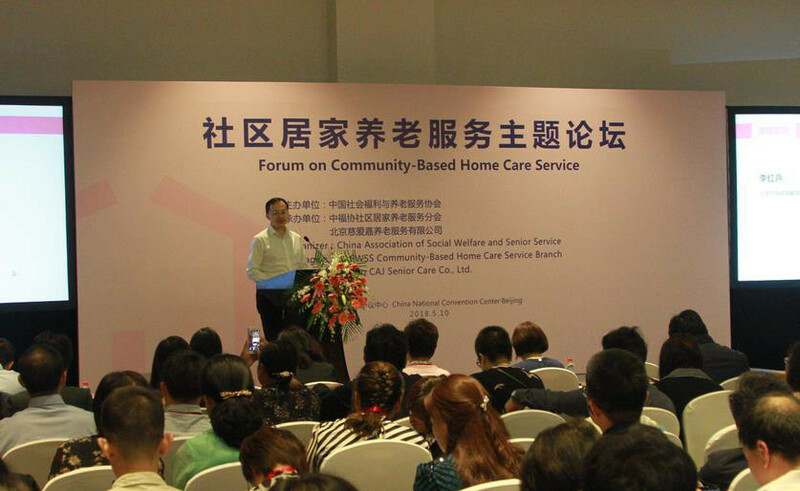 The system is based on home care, supported by communities, supplemented by institutions, and featured the integration of senior care and medical service. 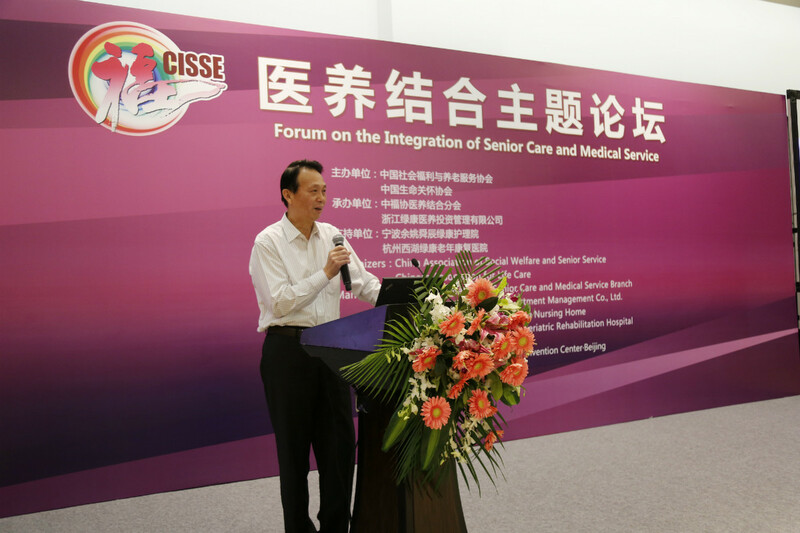 We have carried out the construction of senior care systems, standards, facilities and talent teams, and promoted in-depth integration and application of intelligent information technology in the senior service industry. 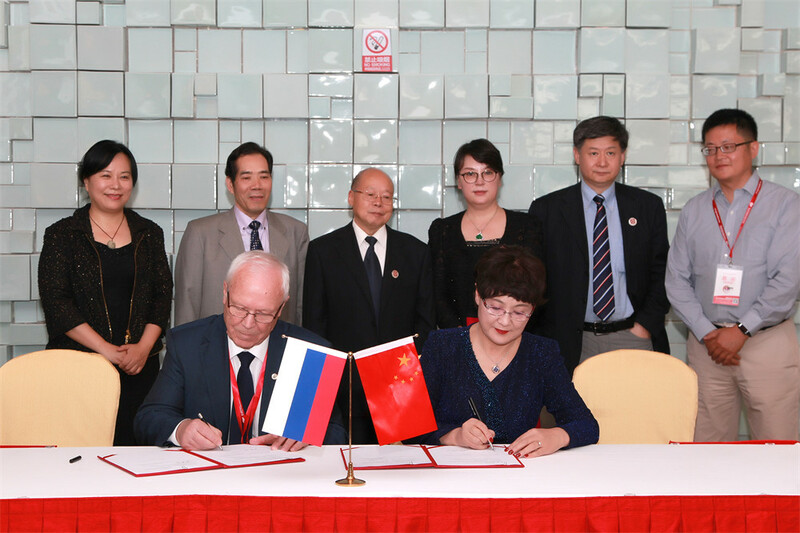 As a result, the sense of gain and happiness of the elderly have been further enhanced. 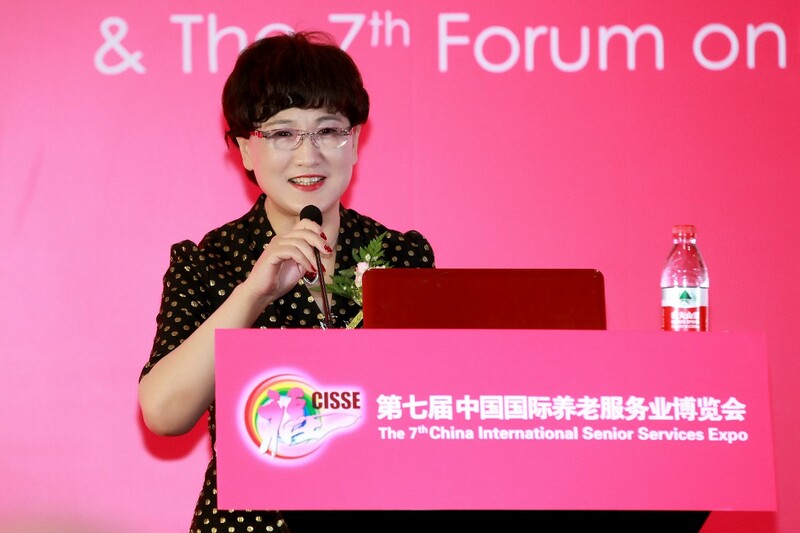 China International Senior Services Expo organized by China Association of Social Welfare and Senior Service has been held for six consecutive years. 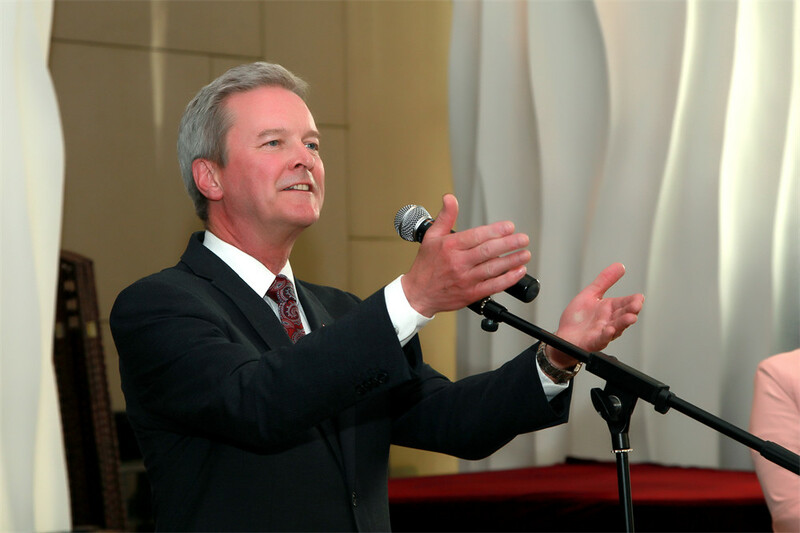 There have been many highlights, and there will be more fruitful results. 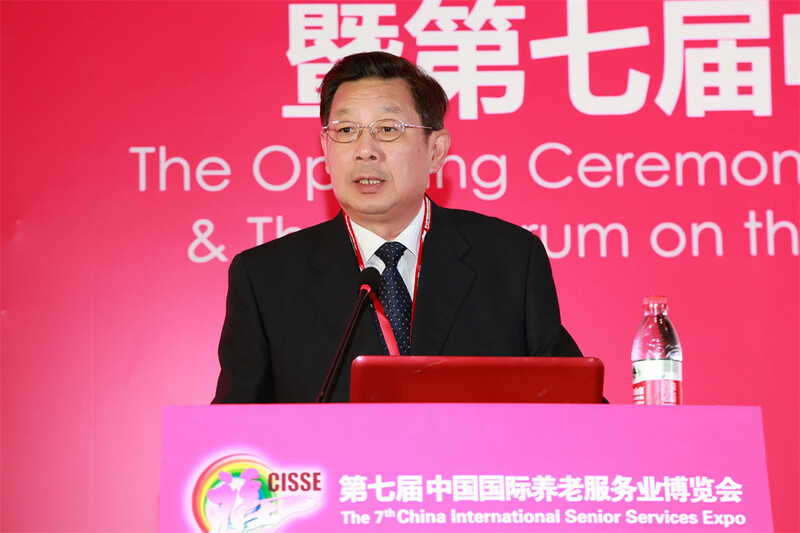 The 7th China International Senior Services Expo will continue to theme on “Appreciating the society, caring for the elderly, providing quality service, and advancing development”, facilitate the in-depth exchange and cooperation between the domestic and foreign senior service industry, accelerate the cultivation of domestic independent senior service brands and new products, and make contributions to the scientific development of the senior service industry. 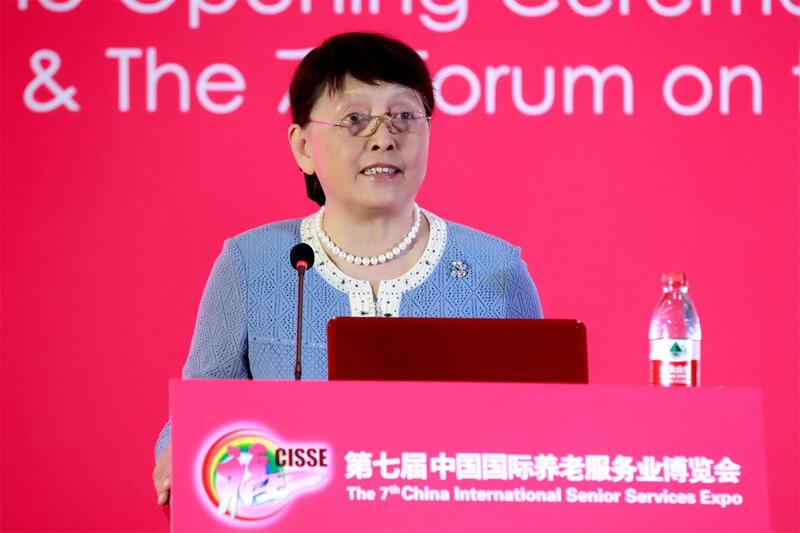 In her speech, Madam Zhang Meiying spoke highly of the efforts and achievements made by China Association of Social Welfare and Senior Service in actively supporting government departments in promoting the development of the senior service industry. 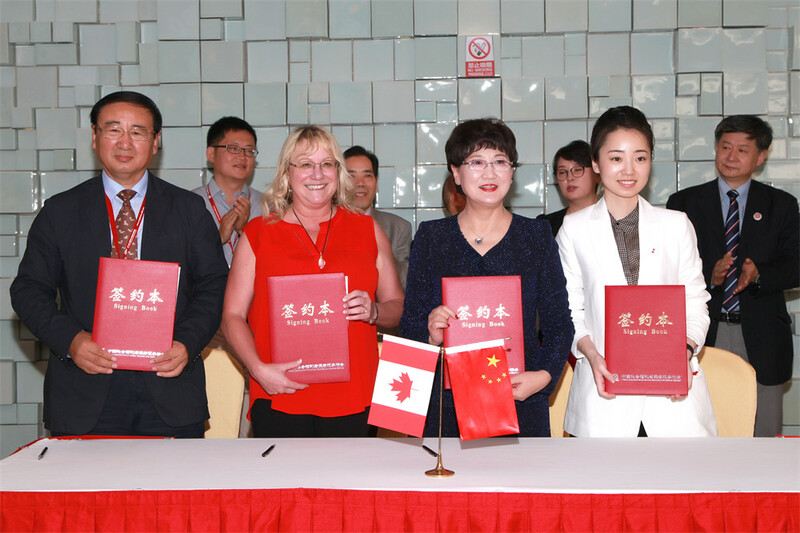 She said she was fully convinced that with the attention, support and enthusiastic participation of the international community and all sectors of society in China, there is no doubt that Chinese senior service industry will seize the new opportunities, address the new challenges, make a new leap forward, and drive new development. 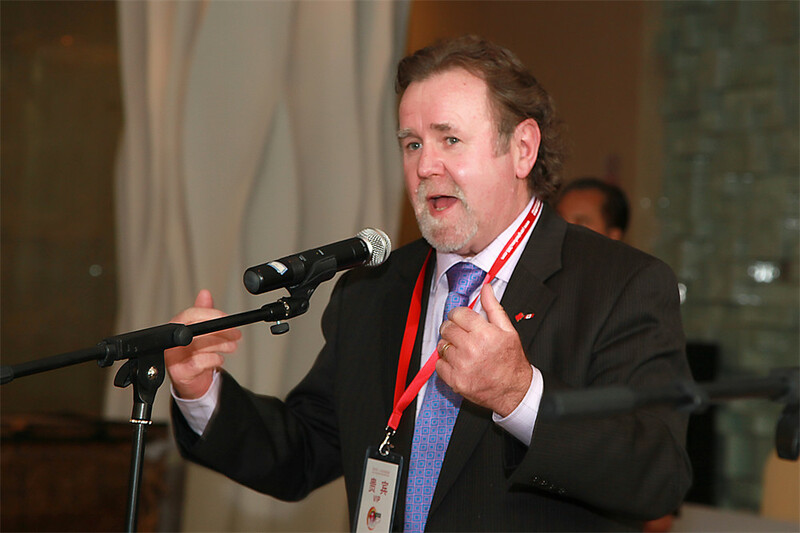 In his speech, Gregory Ross Shaw first extended his congratulations on the opening of the Expo on behalf of the International Federation on Ageing. 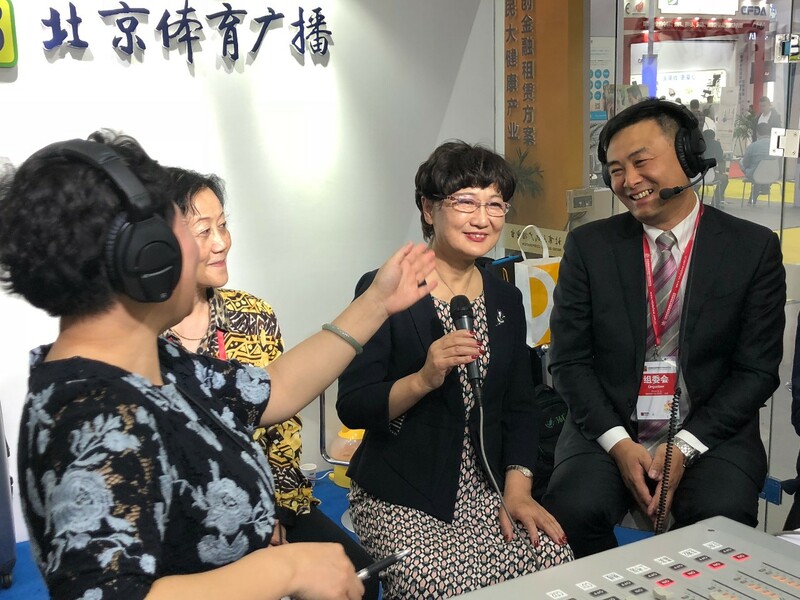 He said, China International Senior Services Expo had been growing every year to respond to global needs, and had attracted sponsors and exhibitors home and abroad. 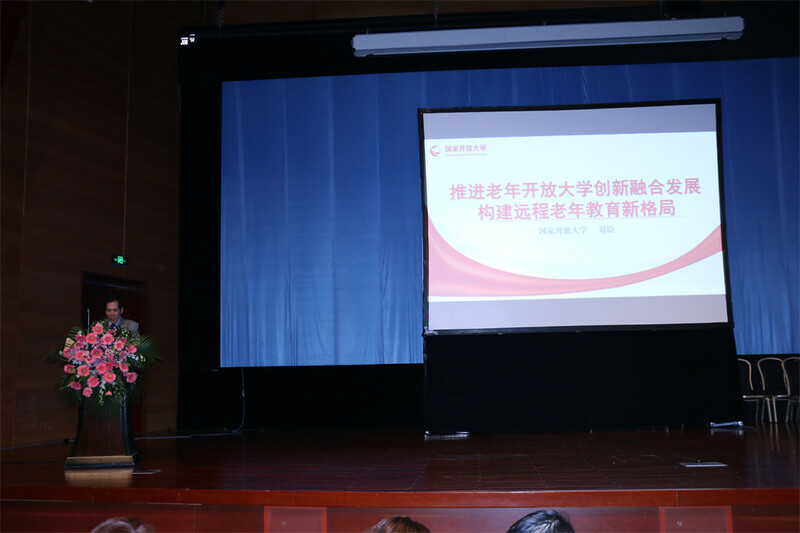 He also mentioned that the leaders of China Association of Social Welfare and Senior Service were visionary. 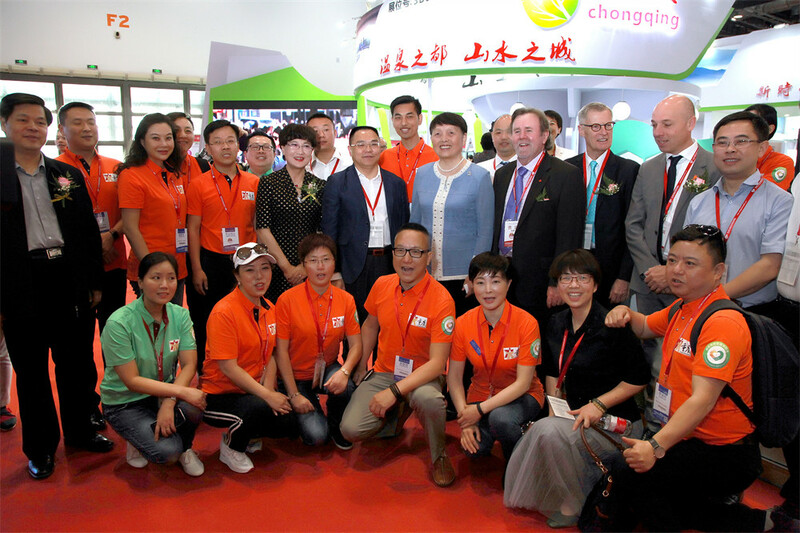 They put in great efforts and were full of passion, making this Expo a much anticipated grand event. 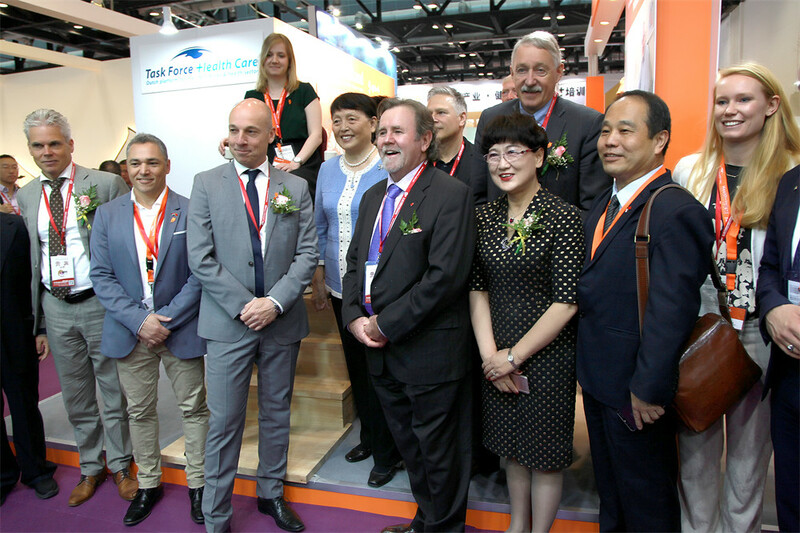 The expo further demonstrated advanced technologies and innovative products, and facilitated the development of the senior service industry. 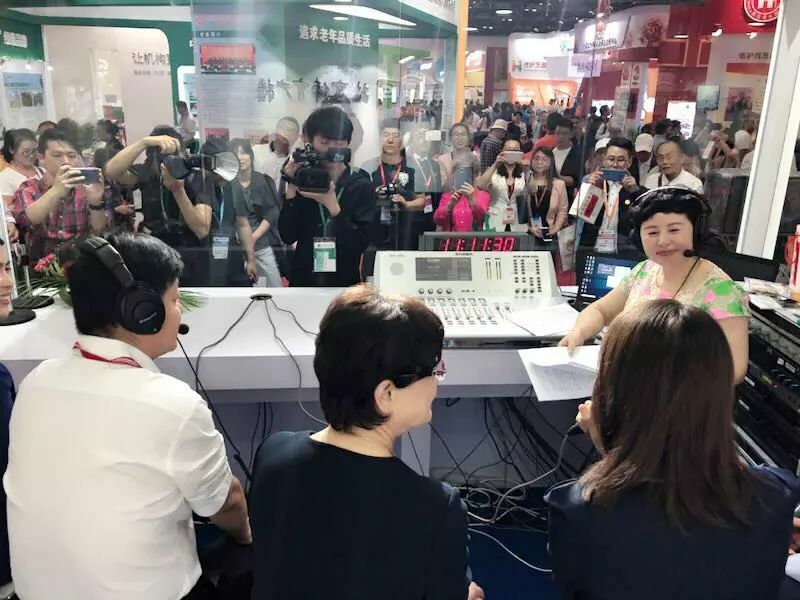 With the continuing promotion of the Expo, China will undoubtedly become the leading force in changing the business models relating to the elderly. 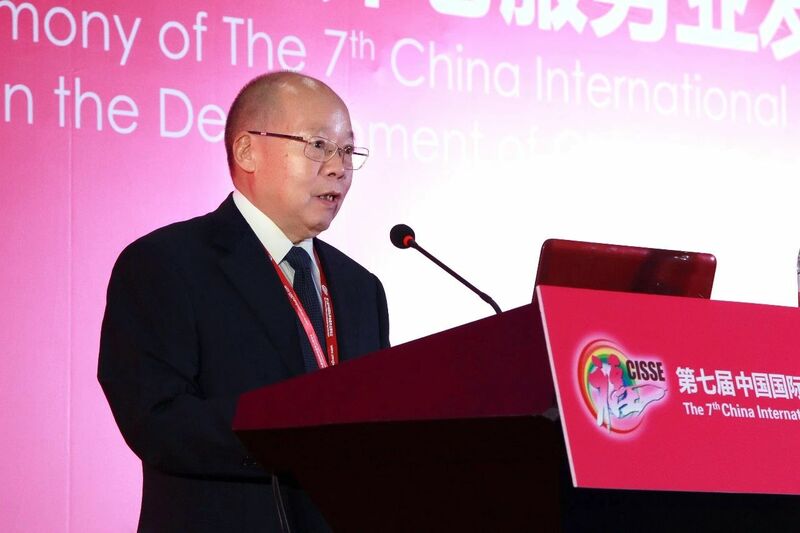 The first president of China Association of Social Welfare and Senior Service Liu Guanghe noted in his speech that, in the development environment where the state’s 13th Five-Year Plan actively addresses the ageing problem, accelerates the supply-side reform of the senior service industry, improves service quality and service ability, and enhances the well-being of the elderly, China Association of Social Welfare and Senior Service diligently studied how social organizations can play their role in serving the country, serving the society, serving the public and serving the industry. 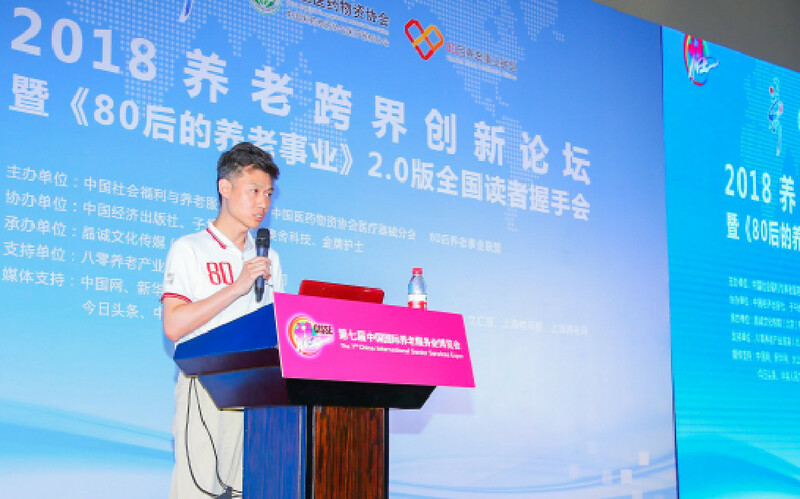 It has successfully organized seven Expos consecutively, and built a platform for the government and the society to disseminate the latest policies, facilitate exchange and cooperation, cultivate service brands and promote the open-up of the market. 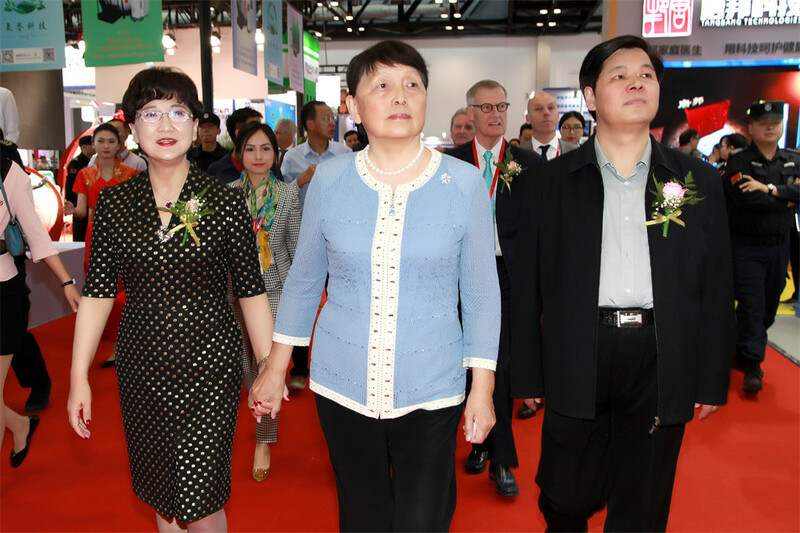 In her speech, Vice Chairman Zhang Shiping firstly wished the Expo a success. 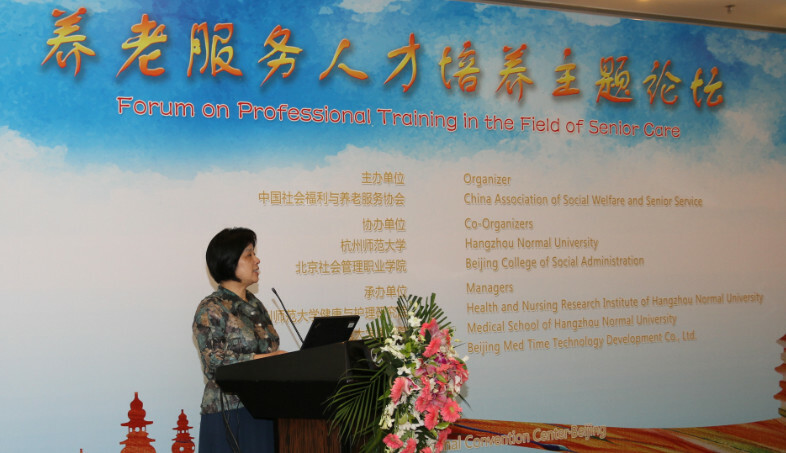 She followed to laude the important role played by the Expo in promoting the development of the senior healthy service industry. 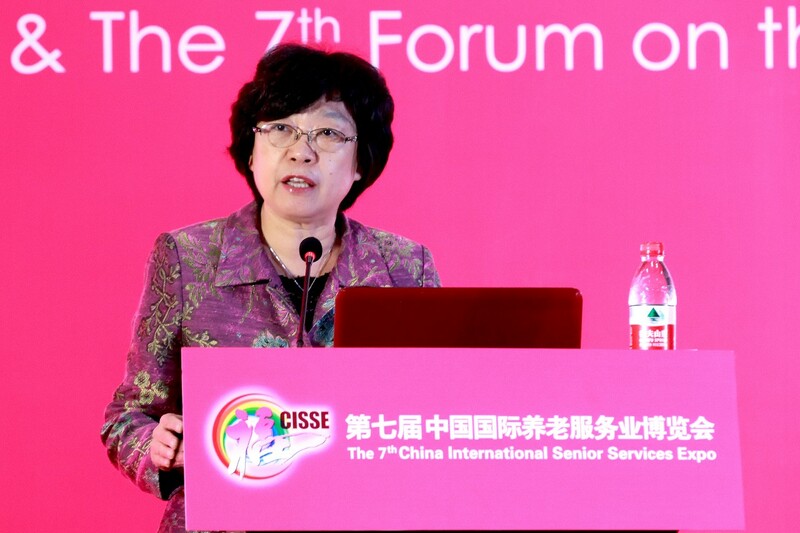 She expressed her expectations in the integration of health service for workers and senior service as well as the improvement of workers’ well-being, and made positive policy recommendations for driving the development of the senior service industry. 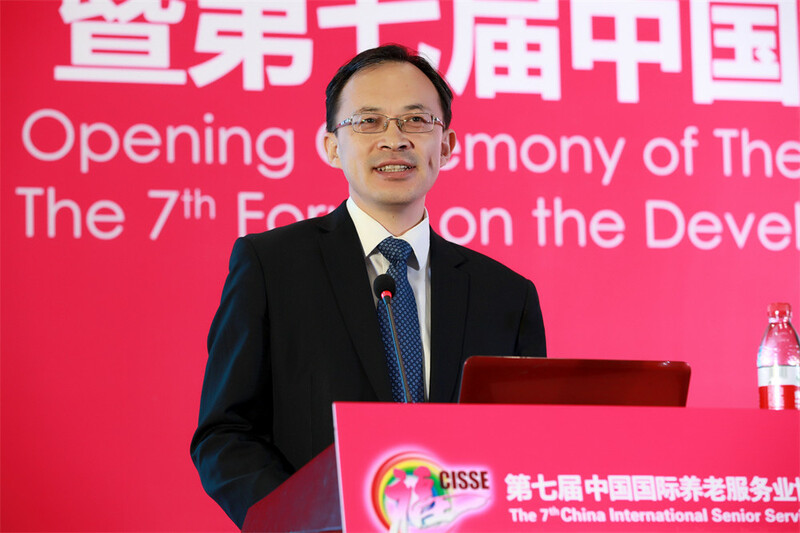 Li Wanjun, Director of Beijing Civil Affairs Bureau, extended congratulations on the success of the Expo on behalf of Beijing municipality. 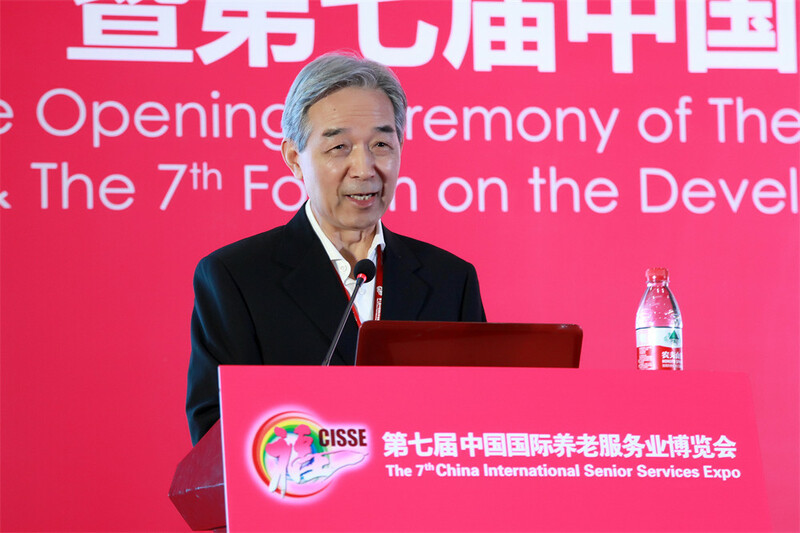 He said, China International Senior Services Expo that has been held consecutively for seven years is an international platform that demonstrates outstanding achievements in scientific research and practice of the domestic and foreign senior service industry and facilitates the exchange and cooperation of senior service. 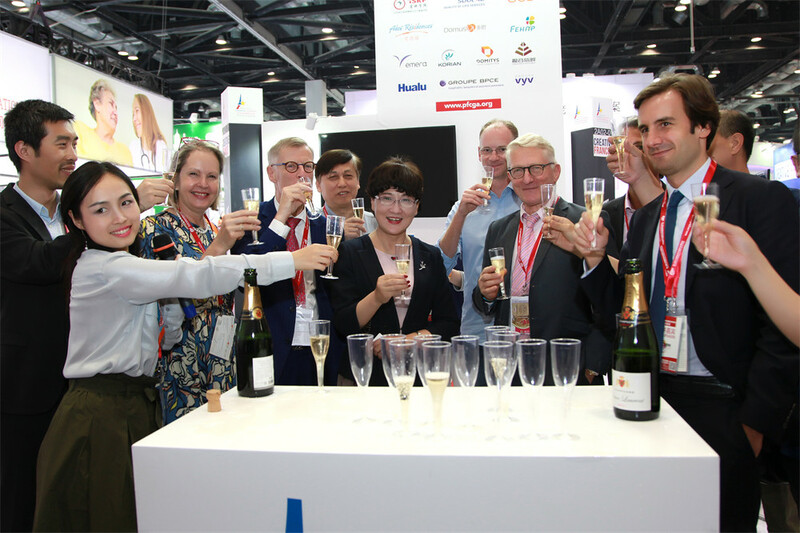 It is also an important event for promoting the development of the senior service industry, playing an important role in boosting the development of the senior service industry. 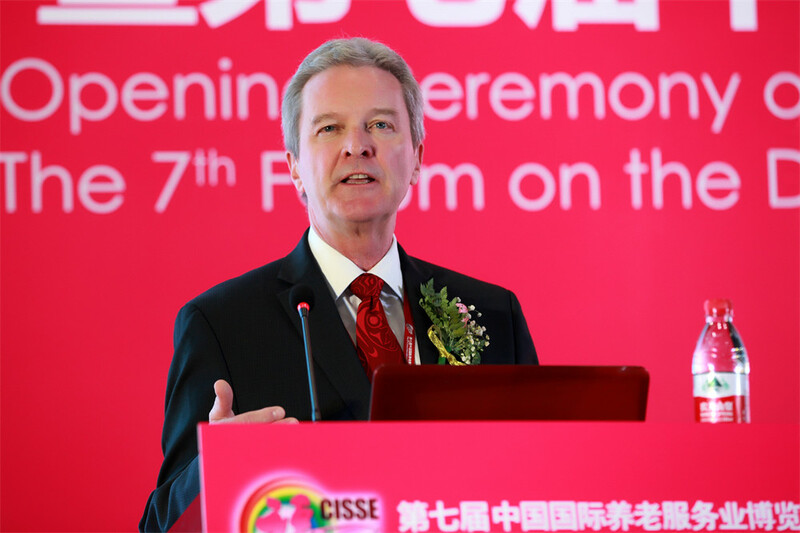 In 2018, Beijing will earnestly implement the people-centric development thoughts, make the promotion of the all-round development of the senior service industry a major task of the government, solidly establish the concepts of innovative, coordinated, green, open and shared development, strengthen areas of weakness, focus on key issues and resolve problems, and explore the construction of a Beijing model of the senior service system with Chinese characteristics. 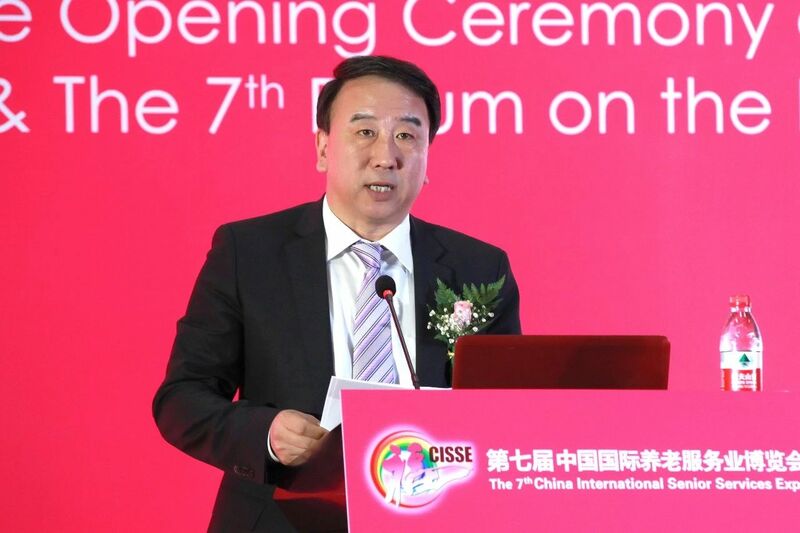 Among guests attending the opening ceremony are leaders of ministries and commissions and social organizations, including Zheng Gongcheng, Vice President of China Democratic League / President of China Association of Social Security; Wu Yushao, Deputy Director of the National Working Commission on Ageing Office; Keenton Chiang, the First Secretary for Commercial Affairs at the Embassy of the United States of America in China; Shabalin Vladimir, President of the Russian Gerontology and Geriatric Pathology Association; Wang Longde, President of China Preventive Medicine Association; Hu Xiaoyi, President of China Social Insurance Association; Colin Hansen, President of Advantage BC of Canada; Kees van der Burg, Director-General for Long-Term Care of the Ministry of Health, Welfare and Sports of the Netherlands; George ASSERAF, Chairman of the French National Commission for Vocational Qualifications; Tang Buxin, Director of Chongqing Civil Affairs Bureau; Li Hongbing, Deputy Director of Beijing Civil Affairs Bureau; Wang Xiao’e, Deputy Director of Beijing Working Commission on Ageing Office; Sha Weiwei, Deputy Director-General of Jiangsu Provincial Civil Affairs Department; Su Changcong, Deputy Director-General of Zhejiang Provincial Civil Affairs Department; Ge Yangnian, Deputy Director-General of Shaanxi Provincial Civil Affairs Department; Li Taiping, Deputy Director-General of Shanxi Provincial Civil Affairs Department; Yang Wei, Deputy Director-General of Hunan Provincial Civil Affairs Department; Zhang Ming, Deputy Director of Chongqing Civil Affairs Bureau; Qi Xuesen, Director-General of China Social Welfare Foundation; and Li Jianhua, honorary president of Chinese Association for Life Care. 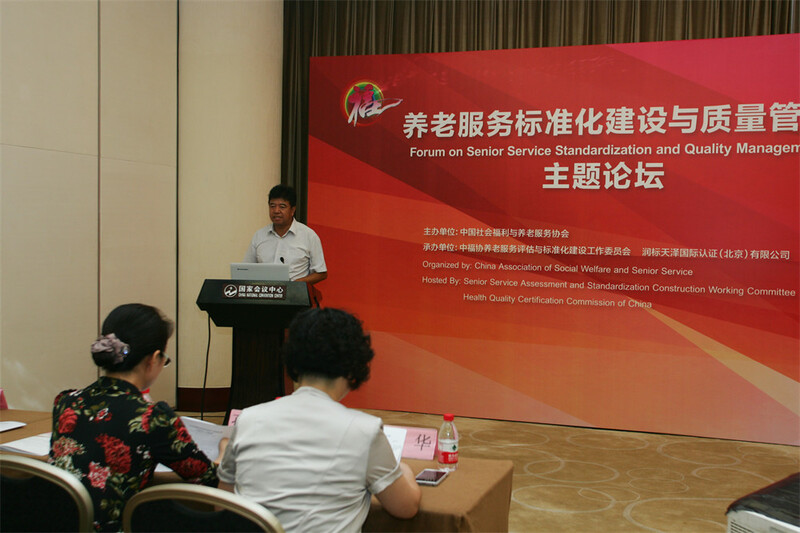 Th 7th Forum on the Development of Chinese Senior Service Industry focused on the senior undertaking development, the construction of senior service systems, and the building of diversified senior service models as prescribed in the state’s 13th Five-Year Plan. 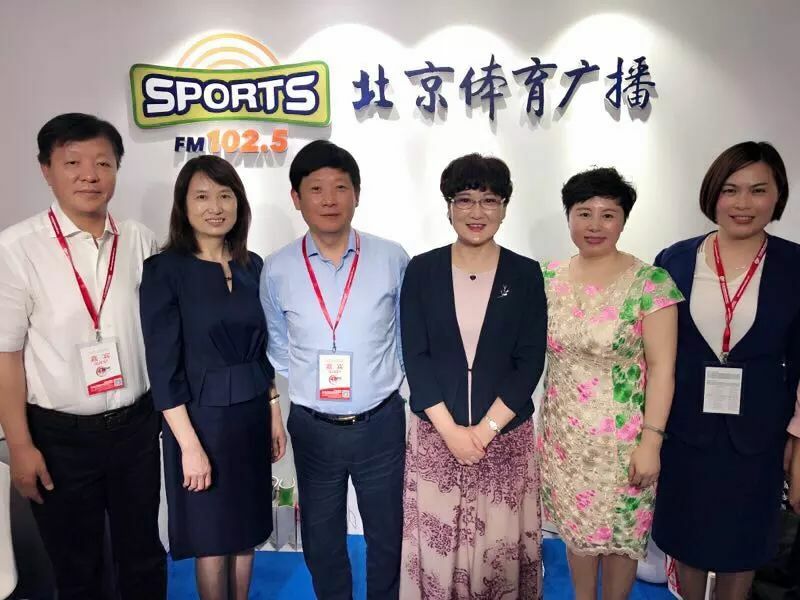 Leaders from government departments and industrial administration departments home and abroad actively offered advice and suggestions, and exchanged ideas on the innovative development of the senior service industry in the new era. 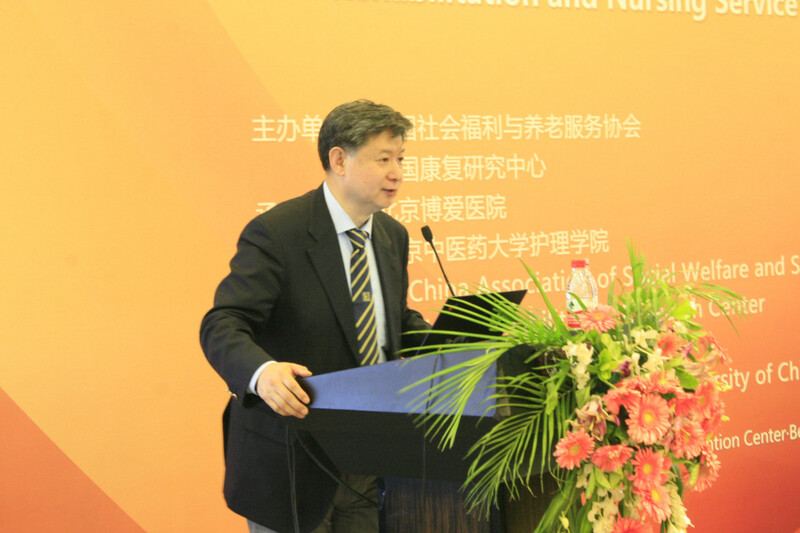 Wu Yushao, Deputy Director of the National Working Commission on Ageing Office, analyzed the “Development Direction of Senior Care Service Industry under the Background of Positive Aging” from six aspects in his keynote speech; Zheng Gongcheng, Vice President of China Democratic League, incisively analyzed the three major needs and five major trends of the development China’s senior service industry in his speech titled “Development Trends of Senior Services in a New Era”; Keenton Chiang, the First Secretary for Commercial Affairs at the Embassy of the United States of America in China, introduced the senior service policies and practice of the US; Wang Longde, President of China Preventive Medicine Association, based on the theme of “Gather Strength, Guarantee the Health of the Elderly”, analyzed the status quo of “Healthy China” becoming a national strategy and the accelerating population ageing in China, and made policy recommendations to promote senior health service; Shabalin Vladimir, President of the Russian Gerontology and Geriatric Pathology Association, made a speech titled “Actively Inspire People’s Desire for Longevity – the Foundation for Solving the Population Ageing Problem”, and put forward the strategic objectives for the project of “High Quality Long Life”; Hu Xiaoyi, President of China Social Insurance Association, introduced “Thoughts on Accelerating the Development of Occupational Pension and Improving the Well-being of the Elderly”; Colin Hansen, former Deputy Premier of the British Columbia Legislature and President and Chief Executive Officer with Advantage BC, introduced the Canadian senior care model supported by the country’s policies; Kees van der Burg, Director-General Long-Term Care of the Ministry of Health, Welfare and Sports of the Netherlands, made a speech titled “Long-term Care for Citizens in the Netherlands”, presenting the challenges for the Netherlands with regard to organizing the best long-term care for its citizens in a changing policy environment. 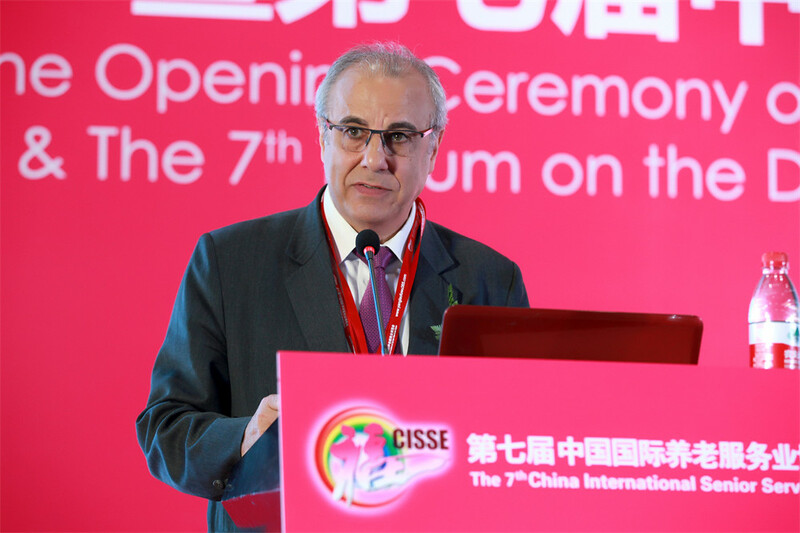 Li Hongbing, Deputy Director of Beijing Civil Affairs Bureau, shared the advanced experience of Beijing in recent years in conscientiously implementing relevant state policies, actively exploring the innovative model of senior service, and brining senior service into communities and families; George ASSERAF, Chairman of the French National Commission for Vocational Qualifications, introduced French experience in helping trainees to enter different professional careers by building a solid training system. 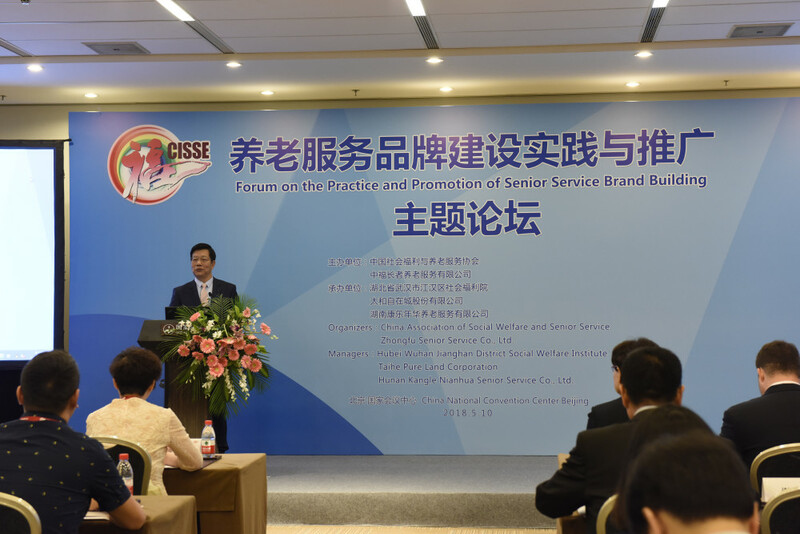 At the 11 professional forums held simultaneously with the Expo, experts from domestic and foreign social organizations, brand senior service institutions, and culture and education institutions gathered together to explore in-depth the latest achievements in professional services, communicate and promote the experience in cultivating senior service brands, and explore methods to improve the industrial service quality. 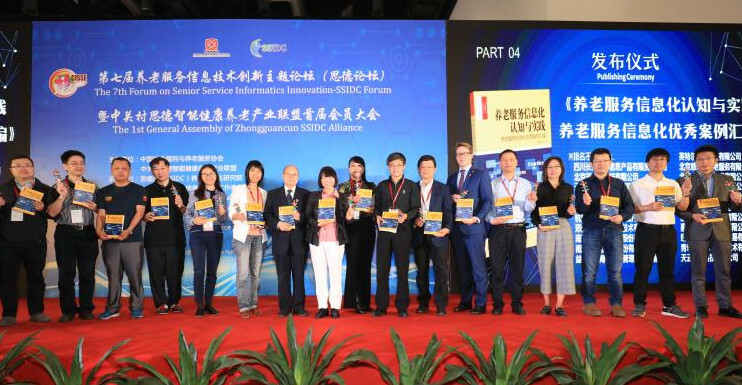 All the parallel forums were packed with people, where experts and professional audiences enthusiastically exchanged ideas and shared achievements in research and practice. 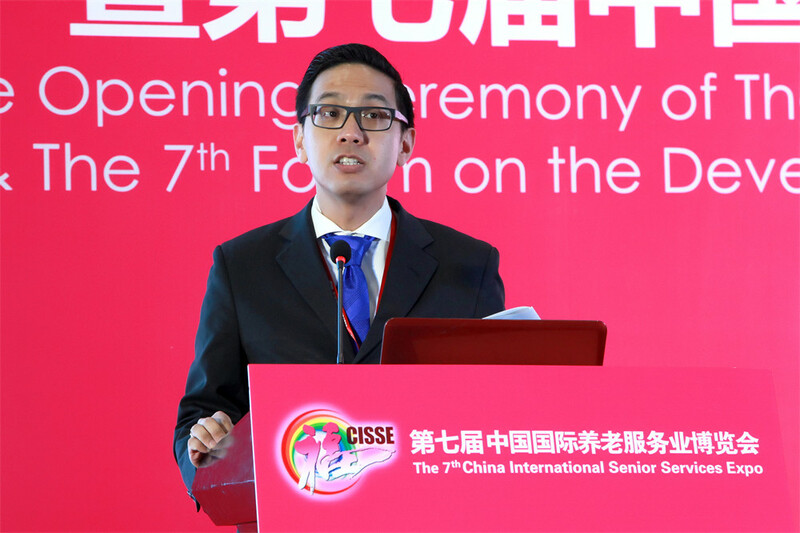 Heads of senior service institutes from all over China commented that this year’s forums featured higher level of guest speakers and were very professional, and participants benefited a great deal from these forums. Other activities organized during the period of the Expo were also very exciting: the international cooperation session boasted large groups of international guests; over 100 guests from the International Federation on Ageing, the US, Canada, Russia, France, the Netherlands, Germany, Australia, Japan and Singapore talked about what they benefited from the Expo and their thoughts about the Expo, and conducted project discussions and signed contracts onsite. 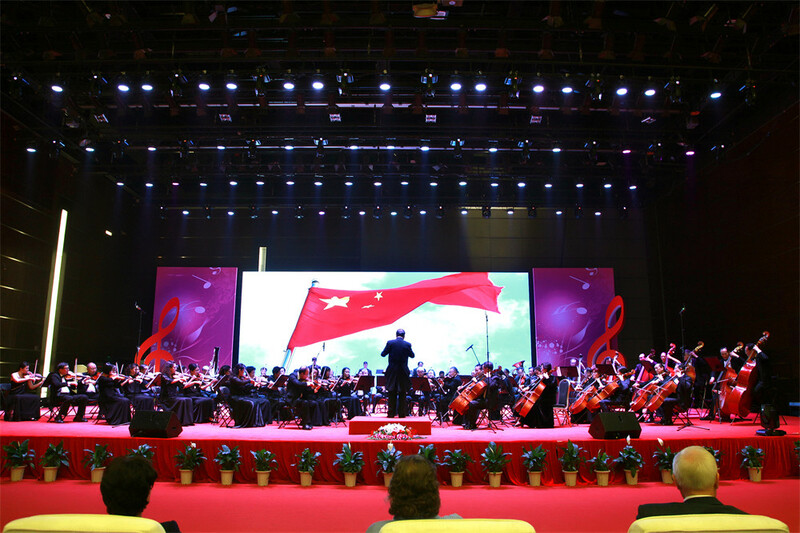 The 1st Zhongfu Concert of Elderly Culture and Art held in the evening of May 9 attracted 1,200 domestic and foreign audiences. 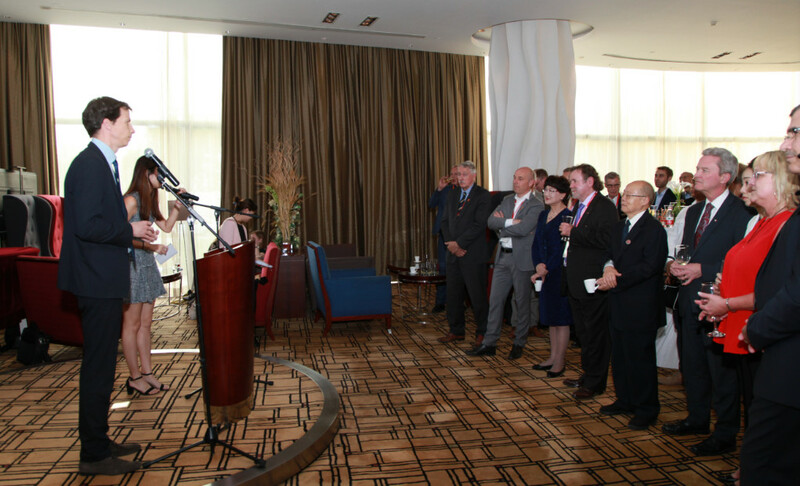 International guests were enchanted by the fascinating performance of the elderly on the stage, and burst into warm applauses from time to time. 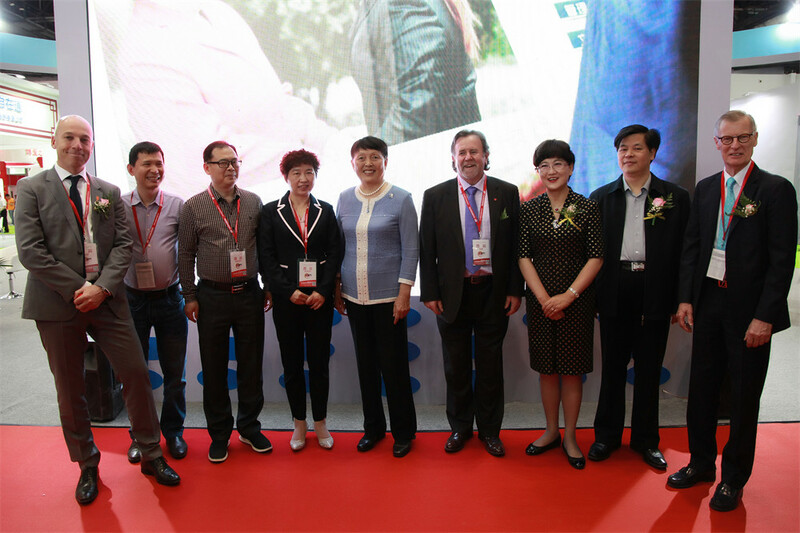 The 2nd “Zhongfu Cup” Most Beautiful Elderly Photography Exhibition reflected vividly the importance attached to the better life of the elderly by the entire society, and won acclaims from photography experts. 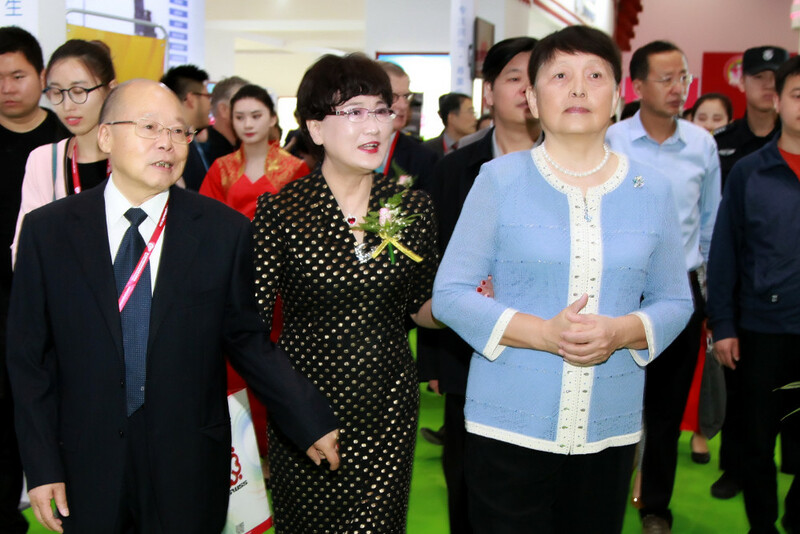 The two themed cultural events demonstrated the Expo organizer’s active exploration in innovating senior cultural service models while bringing prosperity to socialist cultural undertakings, and became a major highlight of the Expo. 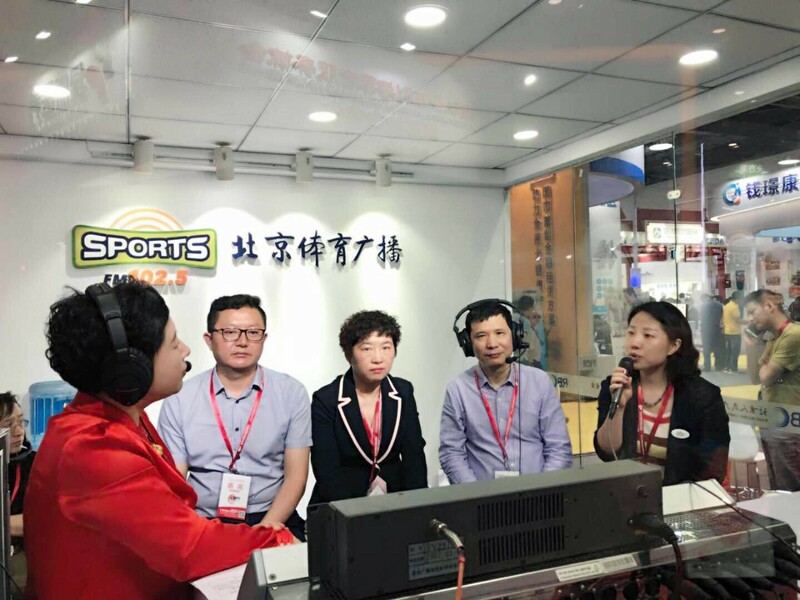 During the Expo, mainstream media including Xinhua News Agency, CCTV, People.cn, China National Radio, China News Service, Beijing TV and Beijing Radio all covered the Expo onsite, and paid a high level of attention to the innovative development of the Expo. 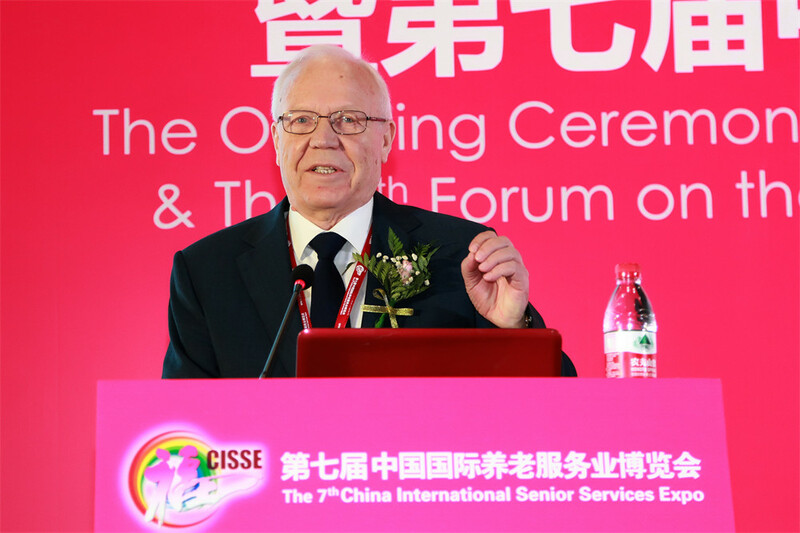 Thanks to the importance attached and active participation by the international community, and the enthusiastic attention and strong support of the entire society, the 7th China International Senior Services Expo has achieved great success.